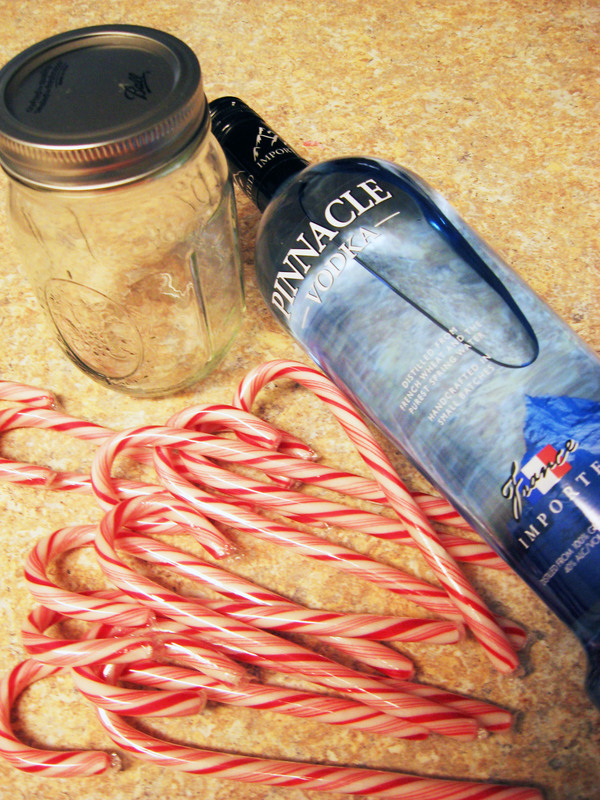 DIY Candy Cane Vodka | Make Something Mondays! Okay, I’m not usually festive. I’m kind of a scrooge when it comes to holidays so, I’ve decided to work on that. 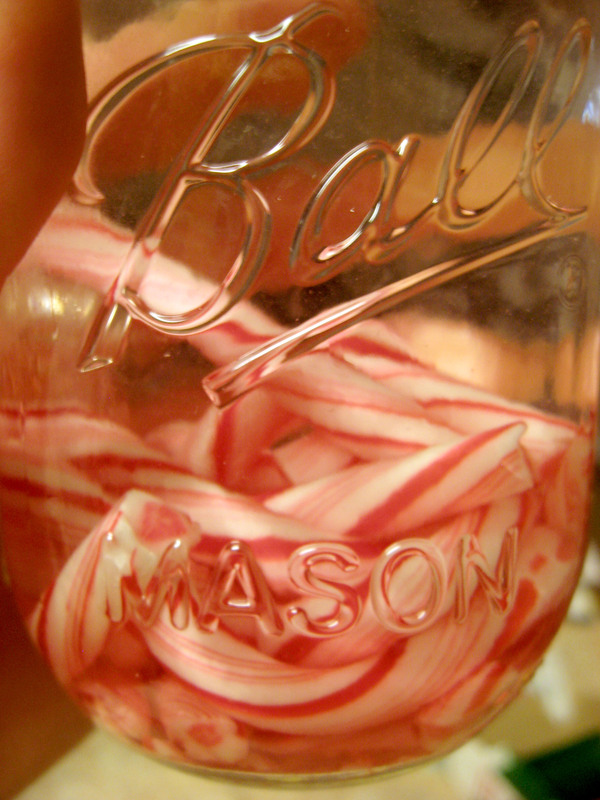 This is my first step… Candy Cane Vodka! Yummy! It is very easy to make and I assume that it will taste amazing. 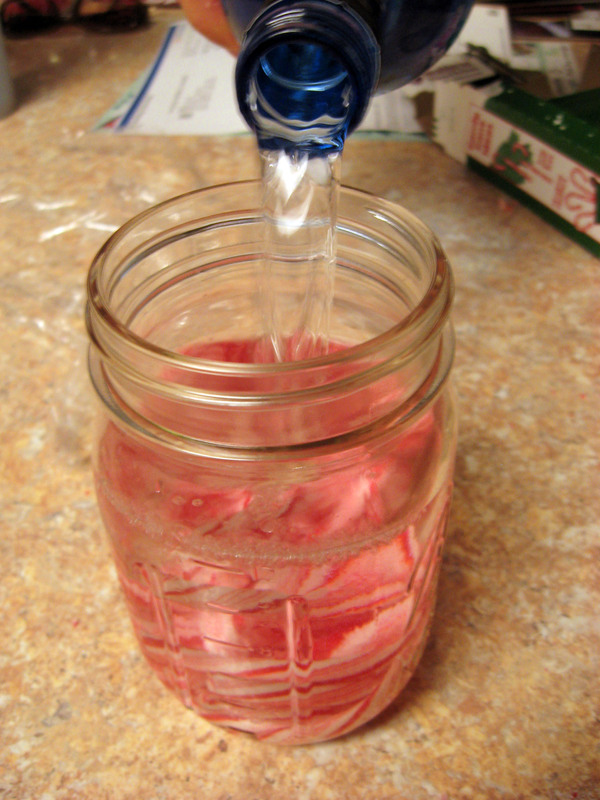 I’ve never made this before but I have made cherry and watermelon Jolly Rancher vodka and that was pretty good. What can you use this for you ask? I recommend pouring a small amount of it in your hot chocolate on a cold day. That would be pretty good. Maybe it would taste good in your coffee (I am definitely not suggesting that you to indulge in an alcoholic beverage before work), and maybe sprite. If you come up with any other ideas let me know and I would be happy to add them! 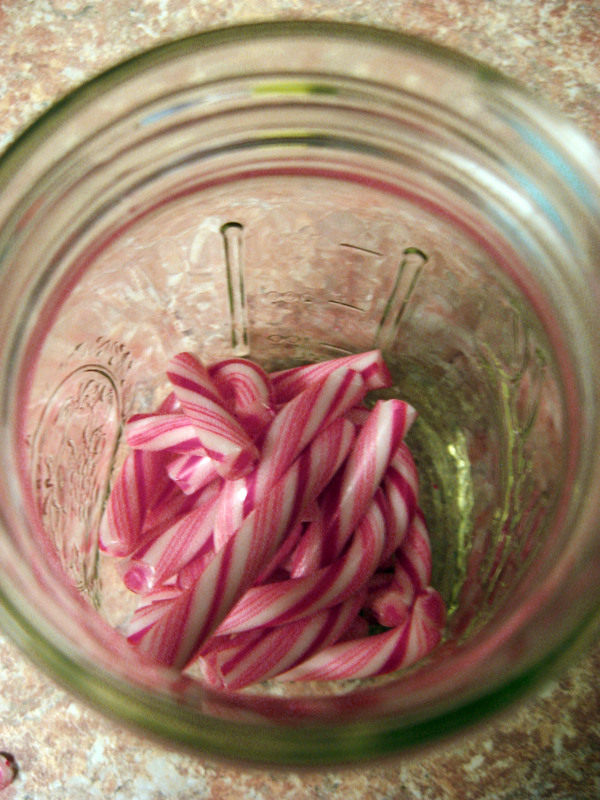 Break up a few candy canes (I think I used 7) and drop them into the bottom of your mason jar. 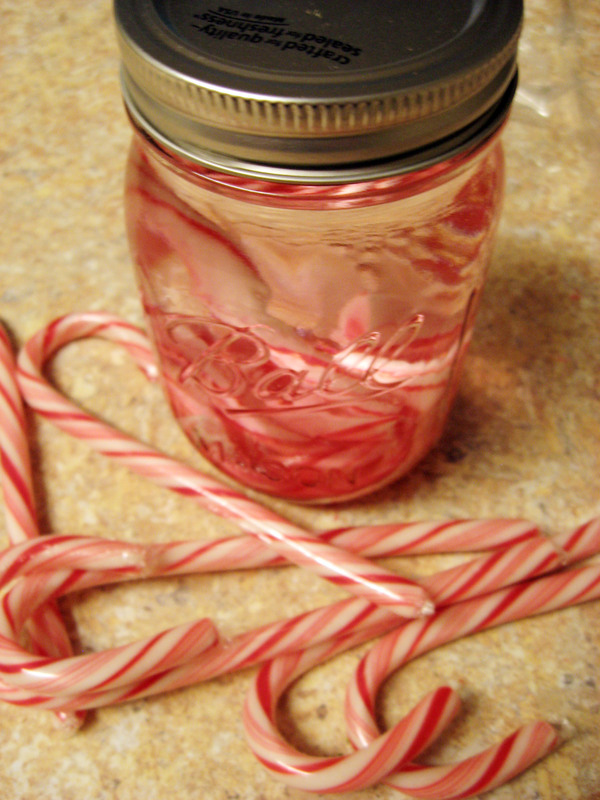 The more candy canes you use the more flavorful your vodka will be. Let the jar sit for a a few minutes and shake it up. Put it in the refrigerator. Shake it periodically. When the candy canes dissolve it is ready to drink! « Who Says Hair Makes You Beautiful?! I cannot picture you being a Scrooge. Thanks for sharing this, gotta try it! Haha, I appreciate that. 🙂 Let me know if you like it! I can’t wait to try this! I can taste it now LOL! I have to work on my “cheer” factor as well, will have to try this. Hopefully this boosts both of our holiday cheer! Let me know what you think of it! I appreciate that, haha! Let me know if you try it! I would love to know what you think.